Perfect for all In the Night Garden fans, this talking plush soft toy includes familiar phrases and sounds from the popular CBeebies show. 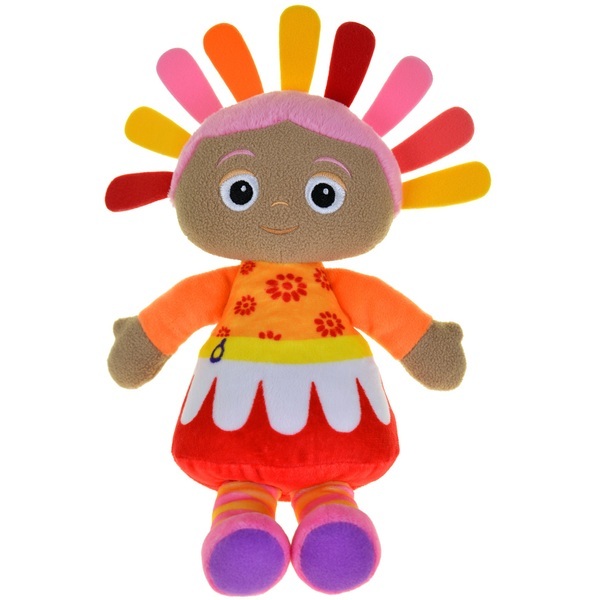 The Upsy Daisy Talking Soft Toy is made from soft textured fabrics making her super huggable! Super-soft and perfect for cuddles! The ALL NEW Snuggly Singing Upsy Daisy is the perfect companion for little fans of the show. Gently squeeze her tummy to hear Upsy Daisy's special song. Upsy is brightly coloured and is wearing a beautiful flower skirt, just like in the show! Perfect for all In the Night Garden fans, The Upsy Daisy Talking Soft Toy is made from soft textured fabrics making her super huggable!